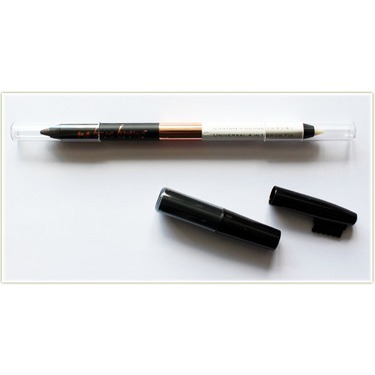 This universal 4 in 1 brow fix transforms your brows. 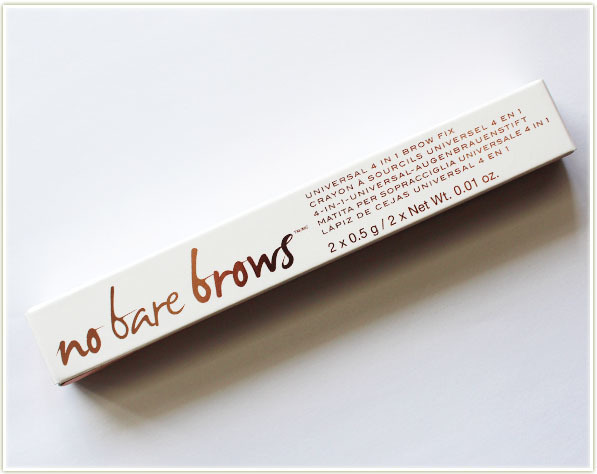 With a universal brow colour at one end and invisible taming wax at the opposite end, it works for everyone. b) is very brittle and breaks really easily. Im obsessed with shaping and colouring my brows so I'm always trying new products. I absolutely love this product. 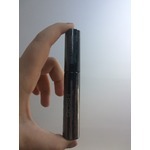 First of all - it has all the tools in one - colour pencil, taming wax, sharpener and shaper brush. 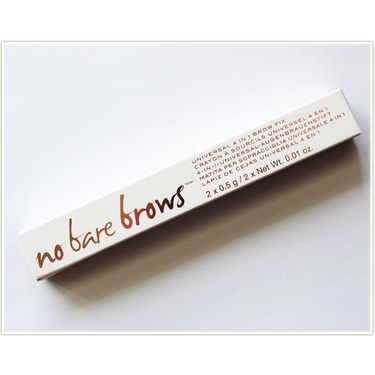 this product really worked at filling in my brows and the shaper wax kept them in place all night! 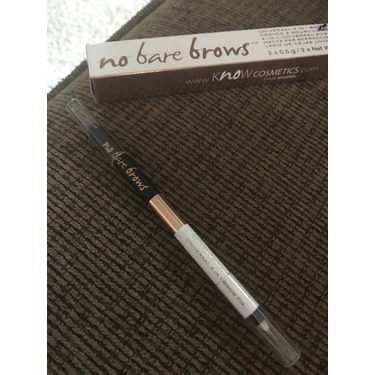 Love the No Bare Brows brow pencil! 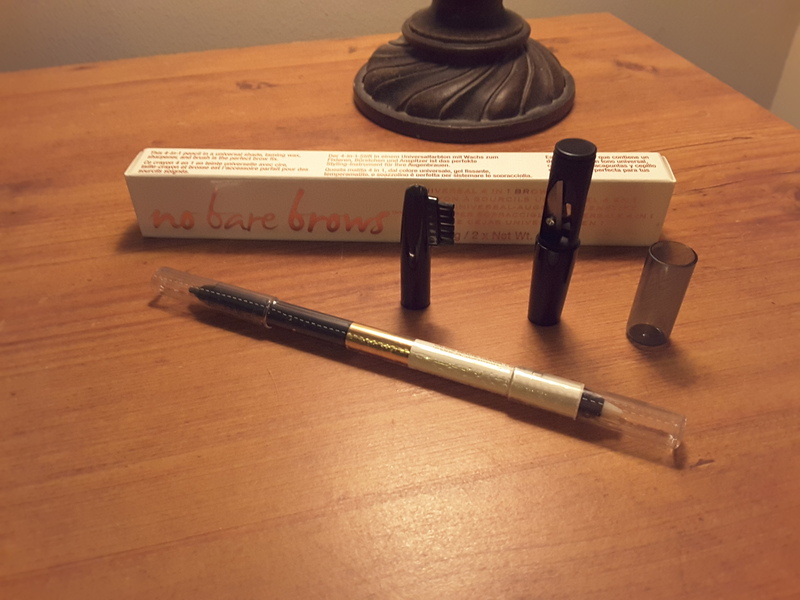 I received the No Bare Brows eyebrow pencil by KNOW Cosmetics with my Chick Advisor Premium membership. 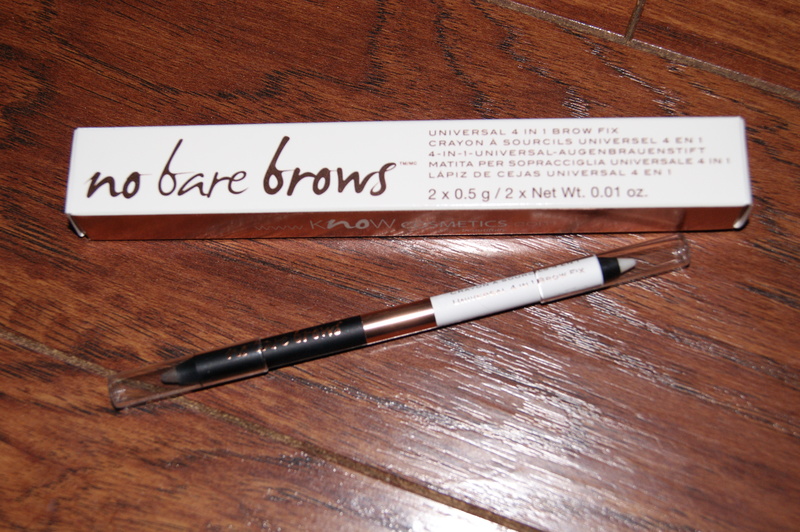 The one I received has a brown brow pencil at one end and a clear wax pencil at the other to keep the hairs in place. 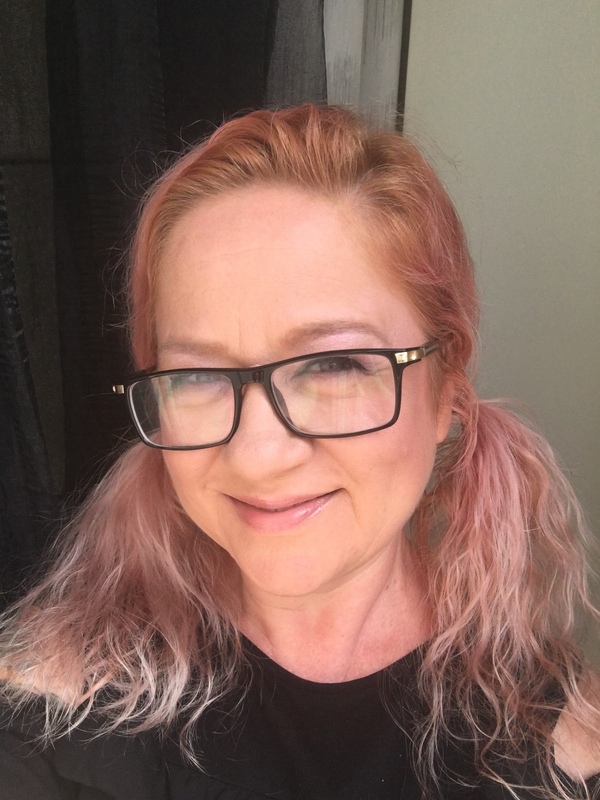 I've been using this product for about a week now and have been very impressed with it. 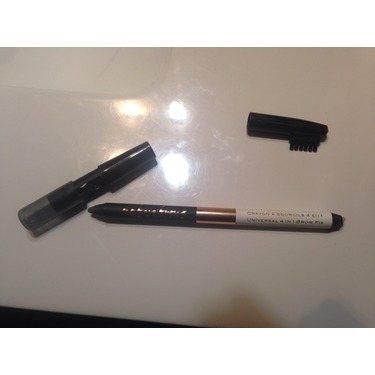 It's very easy to use, the wax end keeps my brows shaped the way I like and they look awesome after use! 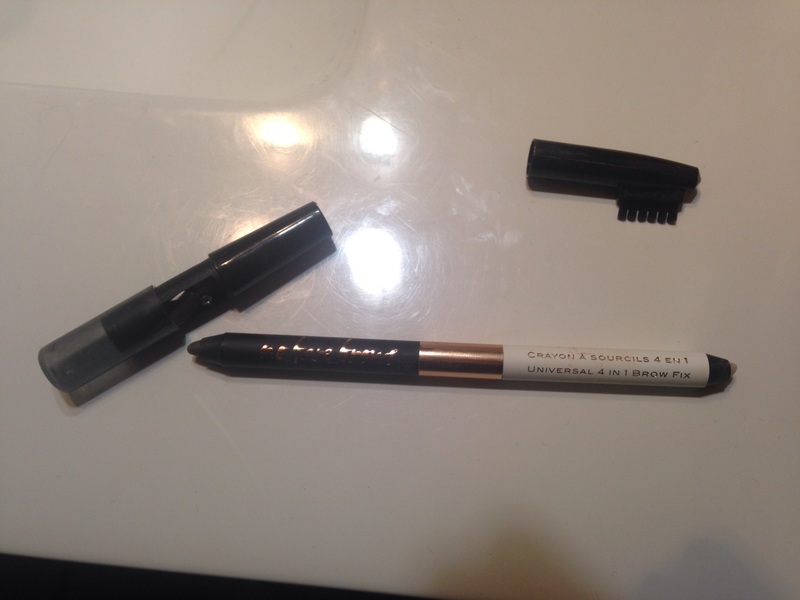 I would recommend trying this brow pencil! Actually, in hindsight I'd lower my star rating. It's super difficult to sharpen. The first time I sharpened it, it broke in half. Since then, I have to hold the pencil part in my teeth and really twist hard with the sharpener to get it to sharpen. And the brow pencil doesn't hold a point for long. I would not purchase this brow pencil again for this reason. Filled in my eyebrows beautifull! 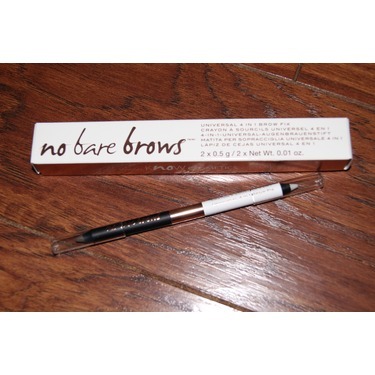 This eyebrow pencil fills in my medium brown eyebrows perfectly. The color is a perfect match. Although it does say it's a universal pencil which means it would be suited for all hair colors I would only recommend it for medium to dark brunette's. 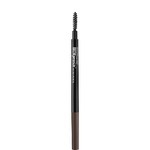 I was recently using Benefit's Precisely My Brow in number 3 but this is slightly less expensive and I like the creamier texture it has compared to the Benefit pencil. This comes with the brow filling pencil on one side and a wax pencil on the other side so you can keep those fly away hairs in place. It also has a sharpener on one cap and a brow brush on the other cap. Although it is convenient to have all of these things in one pencil I have to admit I liked the fact that I did not have to sharpen my Benefit pencil. It was just twist the top and it extended the pencil which I preferred. The benefit pencil also had a spooly on the other end. So the only thing missing was the wax to make it just as convenient as this pencil. 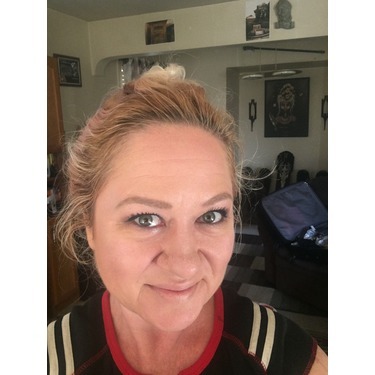 I would definitely repurchase Know Cosmetics No Bare Brows just becauseI loved the color and it is so creamy and natural and fills my eyebrows in with little effort. 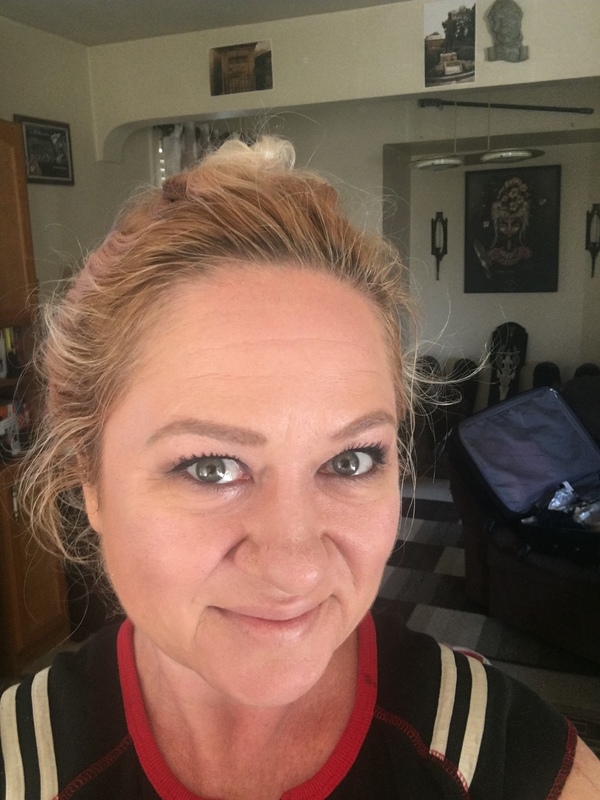 I never would have though something so simple as just filling in sparse eyebrows would make your eyes stand out more and give your face a natural well groomed look. 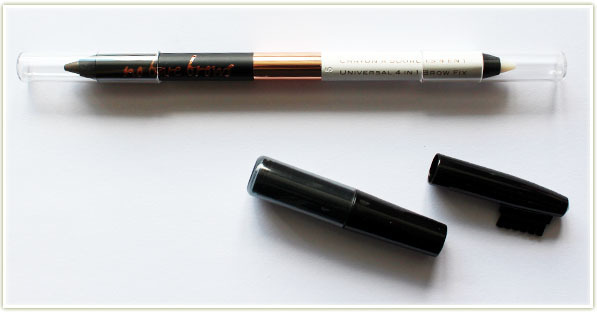 This is definitely one makeup product that will be a staple in my makeup bag. I received this in my Chick Advisor Premium package and was so happy to have the opportunity to test and try this wonderful product. 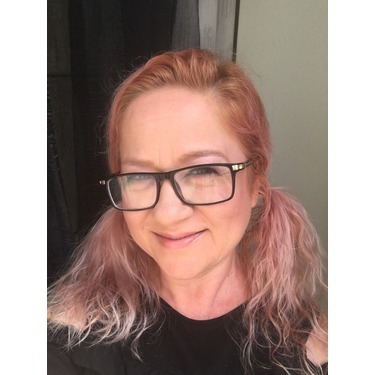 Natural-looking and easy to use, key product in my kit! I received this product in my premium membership and it has been one of my favourites! I've used other brow products in the past but none that I really stuck with until I used No Bare Brows. It is simple to use in 3 easy steps. The wax is definitely a useful element to keep brows in shape. I don't usually use a lot of make-up but I find this product really completes my make-up routine and is essential to my basic must-have make-up kit! 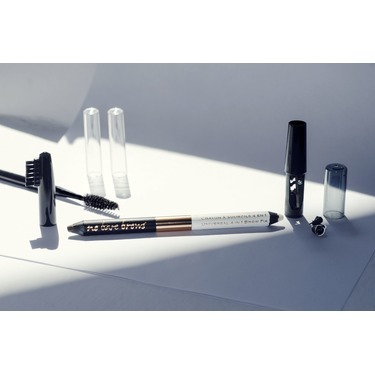 The best eyebrow shaping product yet. 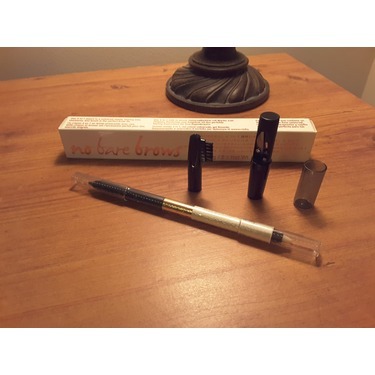 Creating a natural looking eyebrow was so easy with this pencil kit. The colour lasted all day without touch up. 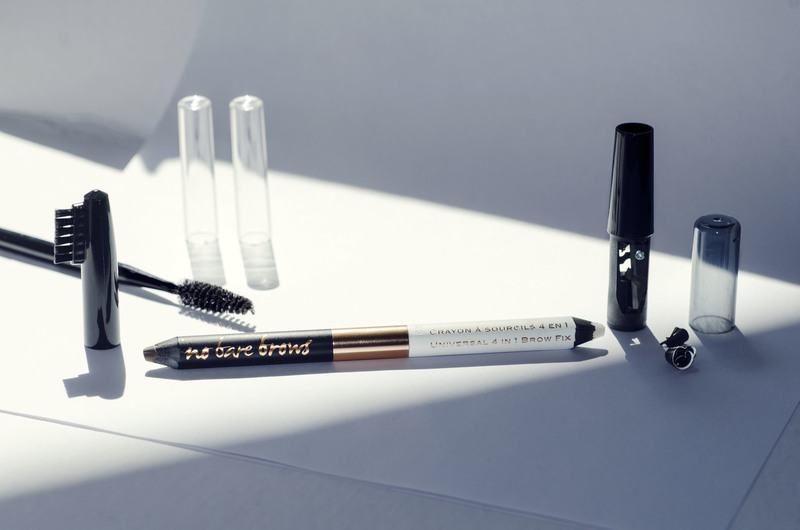 I would keep this eyebrow pencil in my everyday routine. 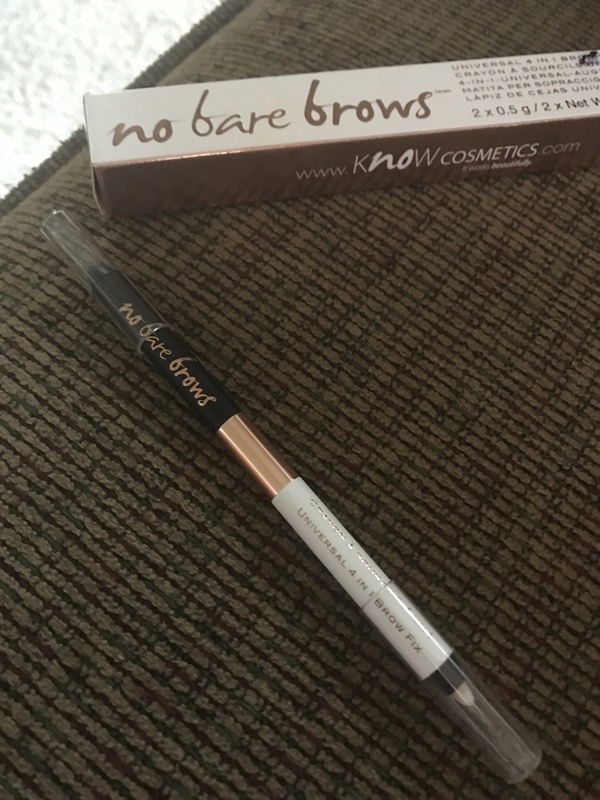 I never loved this brow stick from the start but I used it all the time hoping to find a new technique I could get this product to be effective. I didn't like the waxy look it gave my brows or the lack of filling. It's too pigmented and doesn't fill in nice. The colour, which is supposed to be universal, is a light brown and a darker brown. The product also didn't last too long even with setting spay. I did however like the brush and sharpener it came with. Overall an OKAY product but I wouldn't purchase again. 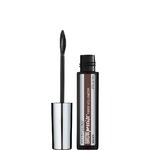 I use this every day and will be purchasing more when I run out The colour is perfect for my greying black eyebrows and the white makes my eyes look larger and my arch slightly bigger. Can't go wrong at this price point.